How to Stop Irritable Bowel Syndrome? Unfortunately, this is not yet no complete cure for Irritable Bowel Syndrome, but there are plenty of ways of managing the disorder. The first is stress management. When IBS suffers are faced with stressful situations this triggers their symptoms. Dealing with stress, instead of letting it build up, will help to prevent some of the effects of IBS. Diet is another way to control Irritable Bowel Syndrome. Certain food triggers may cause symptoms to flare up. For some people, this may be fried and greasy foods and for others, it could be dairy. One option is to keep a food diary and track the effects of the foods over a certain period of time. Cutting down on or eliminating certain foods can help a lot. 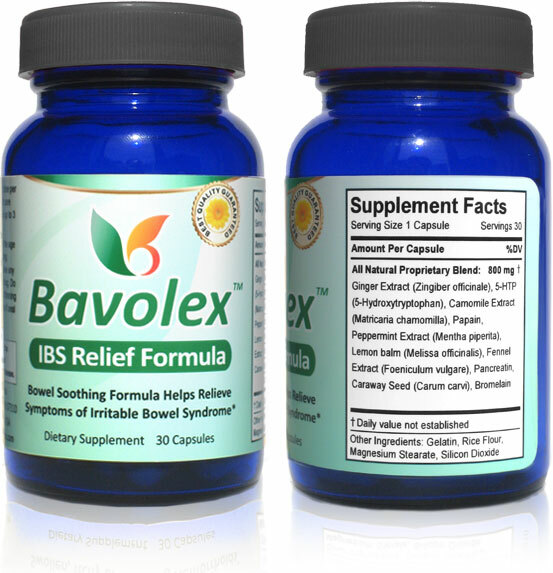 Bavolex IBS Relief is a natural option that helps stop irritable bowel syndrome symptoms. Approximately 15% of the U.S. population has IBS at some stage. Teenagers experience this first. There is 50% more ladies than men experiencing IBS. A lot of people who have IBS are under stress. Stomach pain is an issue for people who have IBS but it does not cause cancer or organ damage. The individual suffering from IBS may get hemorrhoids or depression if the condition does not get better quickly. Medical doctors think that IBS may be caused by a neurological issue. Signals are sent between the brain and the guy. The more stressful an individual is, the less efficient is the brain's ability to send messages to the intestines. The intestines move food either too slow or too fast. That results in painful cramps and diarrhea or constipation and bloating. IBS is related to sleeping disorders, anxiety, and stress. There are OTC meds to deal with constipation or diarrhea and people think they're the best treatment solution. These medications provide only short-term relief. It is not possible to solve the real problem with these medications. With IBS being linked to anxiety and stress, the experts have a reason to suggest medications to treat anxiety. There are individuals who become drug dependent on these drugs even after the IBS is gone. Taking a lot of meds may cause negative effects on one's health, so make sure you are informed about the drugs. When taken as directed and following the advice in our eBook you should see a noticeable improvement in just a few days. We want to make our customers happy and healthy, and that's why we offer a 60-day money back guarantee. Our guarantee is simple: If you don't see an improvement, we do not want your money! Product safety is our number one priority. Bavolex™ contains only natural extracts from plants and herbs that are generally considered safe. Our customers have been using Bavolex for many years, and so far no adverse events (side effects) have been reported. As is the case with other products we recommend that you don't use Bavolex products if you are pregnant or nursing because the effects on fetus have not been determined. You should not take Bavolex if you are using antidepressants or blood thinning medication. 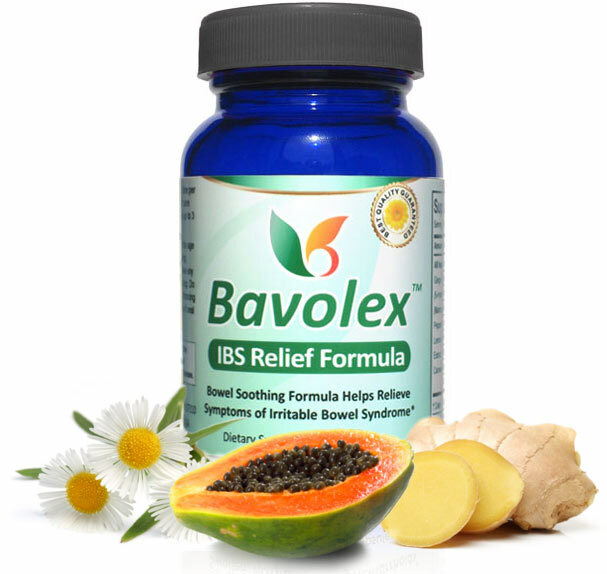 "Bavolex IBS Relief Formula is a dietary supplement made with enzymes and natural extracts to help reduce symptoms of Irritable Bowel Syndrome. 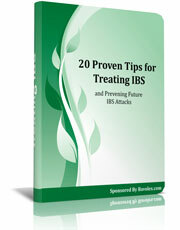 *"
In this eBook, you'll learn 20 key tips to get rid of Irritable Bowel Syndrome attacks forever. These tips cover stress reduction, ways to prevent an IBS attack, and diet. This valuable eBook is a lesson on simple lifestyle changes. A must-read for anyone who wants to stop Irritable Bowel Syndrome today.